Blame the controller did a vid about it and it was basically a flaming roast of Blizzard's treatment of the support class. THis is not the first time it has happened. Can say I have never heard of him so I'll look him up. it's so painful to play lately. I always felt like healers and tanks got the short end of the stick with SR gains. I also noticed in S3 i would get more on fire with Soldier and more SR points on wins and less SR points on losses than when i played healer. 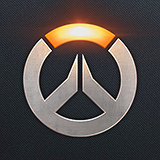 In Season3 I have 40 hours of Ana and 20hours on Soldier. With Soldier i would get something like +25 or -20 and with Ana I would get +20 and -25. Is not much, so i thought, maybe i'm a better Soldier than healer. This is a blatant discrimination. The devs must be thinking that it's DPS and Tanks who are doing all the work, so they should be rewarded more. And support is just that, a secondary role. Thank God I came across this post. I was under the wrong impression that I should be healing, boosting, and Rezzing my team all this time as Mercy. Now I know I should be going Mercy76 if I want any comp matches to matter. The lack of blizzards response only confirms there true intentions that Mercy76 and Widowmaker-Ana are the true intentions of those characters (don't know enough about Lucio and Zen play wise to have them included in this). Sarcasm aside, this is a game breaking issue for competitive play that is affecting all comp players, and the silence from Blizzard on this issue, after acknowledging it, is extremely dissapinting for a franchise they seem to care a lot about. Well good thing I got a bunch of Resident Evil games for cheap this weekend. Seeing as that's were all my time will be going. Even though competitive Overwatch is what I was intending to play. Just switched from dps to play Mercy again on Lijan since our solo heal Ana was horrible. I did so much to keep my team alive, carrying them to not die and make kills numerous of times and i was paid for this by receiving 20 sr again. This is so bad, this assist heat gains ruining everything. Honestly, they might be fine, really, but you know what? Plain healing generate not enough heat, at all. Its simply bad when you can engage in quick combat with someone, kill a guy with 200 hp and get 100 fire, but have to heal for 1000 or 1500 hp to get same amonut of heat, not mentioning that half of it will decay during that time on its own. The stupid silence around this issue is more frustrating than the issue itself. I'm no native and I rarely visit the US forums (lately), but this situation is rly bad. if anything, you should GIVE incentive for players to pick healers instead of making it worse for them. Yeah. I guess no one would have a big problem if blizzard would just say "Sorry dawgs, we're still searching and digging in our code but we didn't find the problem yet." Welp, it would be still a ! @#$ty situation but we would know how to deal with it and we would feel that blizzard cares. But this silence is just pathetic. Especially when we, the united supporters, may already found the problem ourself - but it just doesn't matter. This is real data in no particular SR order (winning / losing streaks). Also all games are solo queue with no friends. Mind you, I improved my Mercy game by a hell of allot (healing / survivability / rezzes / damage boosts / gun fire) since January so my personal performance is in no way correlated to the SR comparison between Then and Now. Bugs are expected, but Blizzard keeping silent about the whole issue makes me think this won't be a simple fix. Oh well, another week in QP. I just feel really sorry for the people still playing healers, especially mercy, in comp. They have no idea this situation is happening and must really be wondering why they are suddenly falling in rank so hard. I can't imagine they would stick with the game after that. Can we have an update Mr. Blueposts? All we got was Scott Mercer saying that it wasn't related to damage amp, can we be re-assured you are looking into this and maybe state that it is indeed an issue? It's partly fixed, isnt it? Played 4 Games yesterday went 4-1 and got like 120 SR for that. I mean I dropped out of master so I should get more points for winning there since I dropped quite hard. You should take into account that you get less and lose more SR if you are in the mmr you are supposed to be, or higher. That's how it is supposed to be. I always look at my stats, since they are compared to others in my mmr, when I know I'm doing good by looking at the stats and get a low amount of SR after the game it's suspicious, but that's not the case anymore. I got like 60 SR for the last win which means winstrikes are working. Will look at it for sure in the next matches sind I only played 5 of them yesterday, but dont blame blizzard if you are simply bad. Eevee also said the bug seems to be fixed for him. Eevee also said the bug seems to be fixed for him. Yeah, after he got 20SR for a Game on Dorado with 55+ Assists. Since the overall Stats will tank down every game after the patch, you will see improvement to your SR over Time. But thats not "fix", it is sitting the problem out. I was able to get 25 SR in a game, where i just was focusing on keeping my on fire up, not supporting the team as good as i could. (Ignoring low tanks, healing the 100% dps instead, using my rezz, even we had already won the teamfight ect.) The next game i thought "Well, maybe it is fixed" and was saving my rezz on Hanamura Defense for 5 Minuten without using it until the last push, were i was able to rezz the team and won the game. Got 21 SR for that. looking at these numbers I'm shocked at how much Mercy players received for wins and how little they lost for losses..I never received gains that large in DVA or Rein and I lost was more that 18-19 points. I don't think this is just a Mercy problem, last night we found it was extremly difficult get on fire with most of the characters. For Reinhardt, the only way to get fire was by being unresponsibly aggressive. There were times I would get quad kills and my hot meter would barely move. Other characters were easier to catch on fire. Sombra,torb, mei, but the only one who seemed to gain significantly more SR/lose less was sombra. 8 wins/8 losses Mostly tank roles and some healing..I am down 46 points....When I played tank I was losing just as much SR as Mercy(maybe a point or two less).. Two matches had leavers...I am not sure if this is because the system says I have a lower MMR and SR is getting pulled down or if it is truly a glitch. I was playing with a friend and he did half Mercy and half DPS and he ended up being down 32 points...he would go up 26-28 when he played sombra (and he played a good sombra), and lose 18-24 when we lost...Mercy was always up 20 and down 27-30. He was at level 3300 and is down in the 2700's with me. We have been maintaining our current ranks 2600-2700 by winning more than losing, on most nights, so we aren't plummeting beyond this. Maybe this is our destiny.